Here at Margaret Green Animal Rescue, we care for all sorts of animals, including some that may surprise you, including one of our country’s cutest little creatures, the hedgehog! In celebration of the hedgehog, The British Hedgehog Preservation Society organises Hedgehog Awareness Week which runs until runs until this Saturday 10th May. The aim of the week is to highlight the problems hedgehogs face and how you and I can help them. It is difficult to know when the first litters of hoglets will be born. In most years it is late May to June but this year the weather has been milder and the adults may have come out of hibernation much earlier. Do bear this in mind when gardening as mothers will often make their nests under the floor of sheds. - Hedgehogs eat worms, insects and snails. They have poor eyesight and rely heavily on their sense of smell. - Hedgehogs have around 4-5 young per litter. - Often, young hedgehogs are brought to Margaret Green Animal Rescue in the autumn when they are found wandering about during the day. This is probably because they are too underweight to hibernate and they are looking for food. Young hedgehogs need to be 600g to have enough body fat to get through the winter. 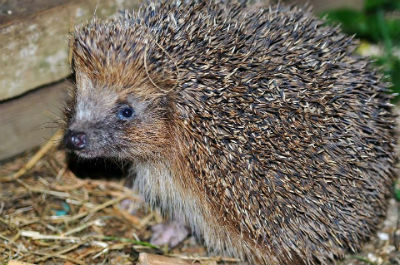 - Our hedgehogs are then realised back into the wild in April. Hedgehogs are in decline but we can make a difference! 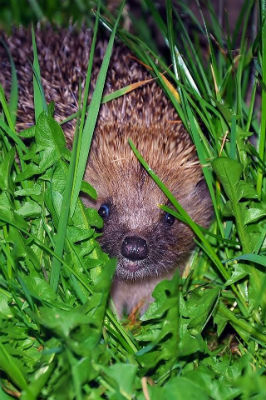 Use the helpful tips here to make your garden safer for hedgehogs. If you would like any information, or are concerned about a hedgehog you can call us on 01929 480474 or contact The British Hedgehog Preservation Society by calling 01584 890801.